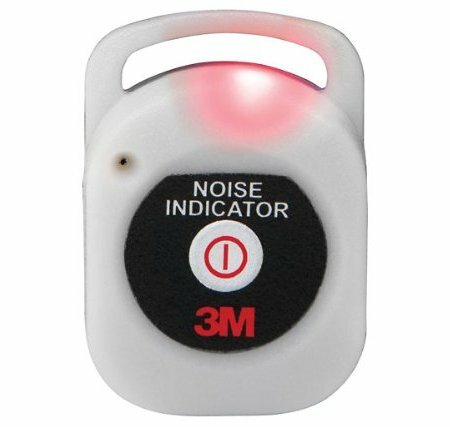 Currently viewing the category: "3M"
Reader Question: How Do You Hang Pictures? Browsing the Lee Valley website, I discovered yet another way to hang pictures on the wall: the Push & Hang hanger. This is in addition to the long line of other ways to hang pictures, including Monkey/Hercules Hooks, 3M Command picture hanging strips, push pin picture hangers, or the trusty old hammer and nail. EZR offers a few reasons to use Push & Hang hangers over the other methods: They install fast with no tools, there’s no mess to cleanup, and they’re reusable. The command strips aren’t reusable, and a nail requires a hammer, but for the most part the advantages they give apply to the other methods as well. YAFC: But Hey — Duct Tape! Every week Toolmonger gets inundated with mail from various PR firms pushing the contest-of-the-week. And most of ’em end up in the circular file because seriously, do they really think Toolmongers are willing to shell out their personal info for a chance to possibly (maybe) score a $10 tool? But we got sucked in by this one. Why? It’s all about duct tape and the crazy crap you do with it. 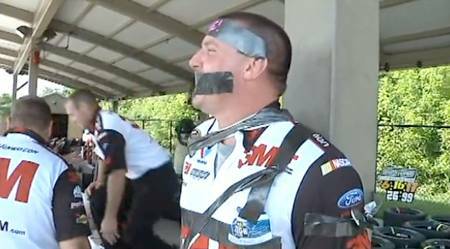 Here’s the quick version: In order to promote their duct tape, the folks at Scotch/3M want you to send video or photos showing how you’ve solved the day with duct tape. To encourage you to do so, they trotted out their NASCAR crew guys to camp it up. It’s kinda humorous. The world is full of stickytape stories – and to some they are a poor fix, a lazy response. It is easy to mock them. But what I argue is that there is innovation at play in many cases. It gets you involved in making stuff – makes you think you can do things, change things – re-imagine how things might be. 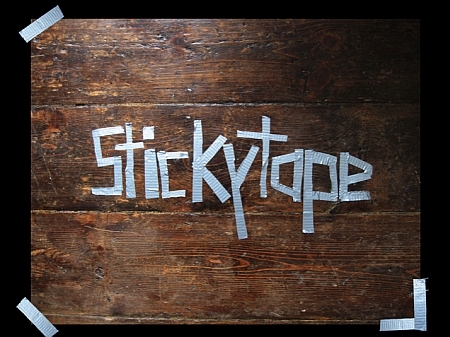 Stickytape epitomises an experimental approach. It is emblematic of being able to fix anything. Standard heat shrink tubing is pretty handy stuff, and the addition of an adhesive lining can make it even more so. 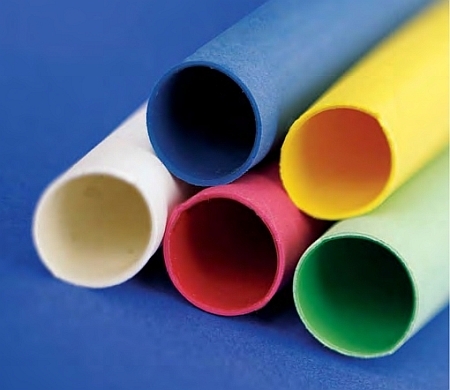 Typically made from cross-linked polyolefin, which is stronger than PVC and does not burn like PVC, this tubing, with its heat-activated adhesive, provides a tight seal against water, oils, acids, and sunlight. The tubing’s major markets are marine, RVs, and campers, but I like it as a general-purpose heat shrink because of the better seal. 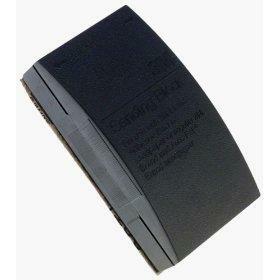 The main suppliers are Ancor, 3M™, and Raychem (Tyco). Spring has officially sprung here in Texas, and even if your hometown’s still under the Groundhog’s curse for a few more weeks, you’re probably considering replacing those nasty, wintrified heating and a/c filters in your home. Realizing that waking up every day with a stuffy nose may be due to my crap-clogged filters, I hit the big box on a mission. Unfortunately when I got there and saw 300 varieties of air filters ranging from “high performance electrostatic” ($$$$) to fiberglass ($), I realized I needed some guidance. Here’s what I learned. To make sure you’re selecting the appropriate kind of air filter for your home, consider whether any pollutants (indoors, in your garage/shop, or outdoors) are affecting the air quality inside. Household chemicals, pesticides, mold or mildew, high humidity, improperly vented appliances, standing water or leaks, or (obviously) if anyone smokes inside the house are factors that can be identified and fixed first. Second, assuming your home filters are designed more for providing healthy air in the living space (as opposed to protecting machines or equipment), take into account how you or your family responds to allergens such as dust mites, pollen, mold spores, smoke, pet dander, and smog. 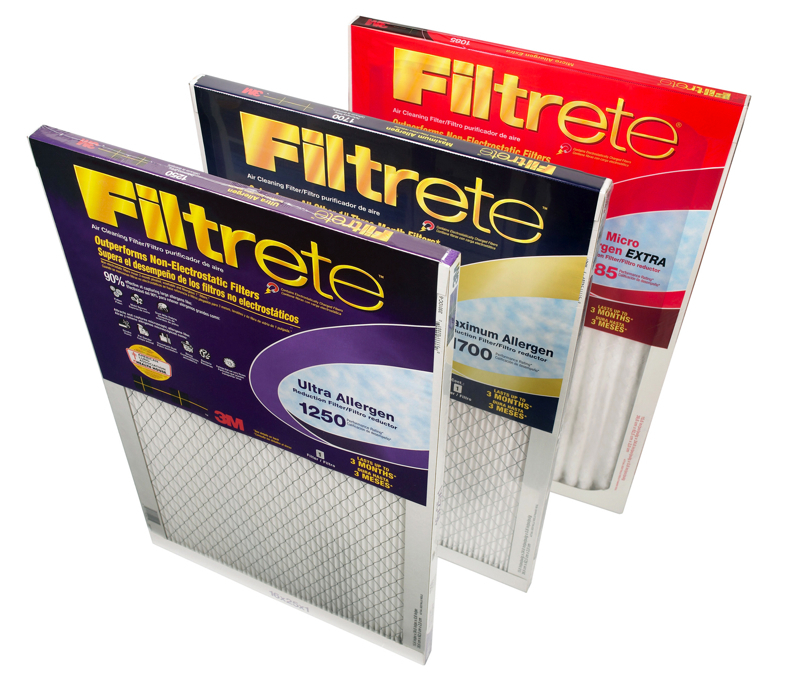 The better quality the filter, the smaller the particles it can capture, and without interrupting the air flow of your HVAC system too much, which is paramount for efficiency. Also, check the MERV (Minimum Efficiency Reporting Value) of the filter: they range from 1-16, and the 12-16 range are the highest quality at 90+% efficiency. 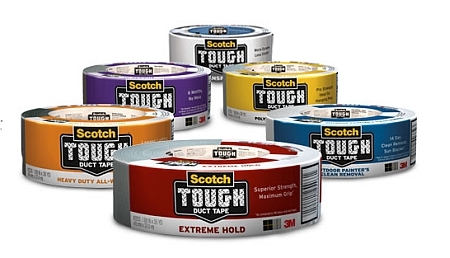 Scotch® has six new Tough Duct Tapes, pictured above. The Extreme Hold version has a double-thick adhesive layer (sounds like Gorilla Tape), and a temperature range up to 200° F. The Heavy Duty All-Weather has UV resistance and a waterproof backing. The Outdoor Painter’s Clean Removal claims you can take it off cleanly for up to 14 days after application on “most opaque surfaces.” The indoor/outdoor No Residue can be removed without residue after as long as six months, and is designed for securing cords, hanging signage, bundling, and labeling. The Poly Hanging & Tarps has high tensile strength good for general repairs, hanging poly, and securing or repairing tarps. The Transparent is “ideal for discreet repairs,” or for bundling, reinforcing, and securing lightweight loads. Apparently this sharpening tool has been around under various names since 2004 or earlier, but I just recently found out about it — I know: if I don’t start paying attention, I’m going to have to turn in my Toolmonger badge. 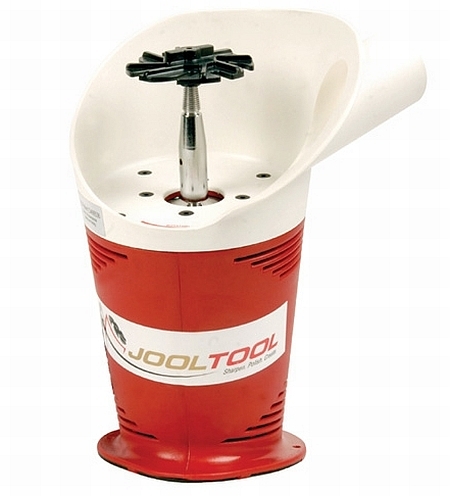 The 12″ tall, 8″ diameter JoolTool™ (a.k.a. Ninja™) is a variable speed (500 to 5,000 RPM) dry sharpening system that has a 17° forward tilt for easy use, a vacuum port, and several accessories allowing it to sharpen, polish, grind, lap, sand, and deburr. Highland Woodworking and Japan Woodworker both have a basic package (inc. the JoolTool™, an instructional DVD, a backpad, a buff/polish felt wheel, a small block of honing compound, a variety of different grit discs for various materials, and more) available for $279.95. Have any Toolmongers used one of these? What did you think? How does it compare to something like the Work Sharp? What’s your preferred tool for sharpening? The sanding block I currently use is whatever scrap wood I can find — this works well for the most part, but the possibility of something better out there piques my interest. Looking at all the various options, I’m thinking a basic model would be best for me, rather than a more ergonomic one, and I want something that takes a quarter to a third of a sheet. 3M’s 9248NA Sanding Block fits these requirements, so I’m going to give it a shot. We all like to customize our cribs, but in some dorm rooms, apartments, and offices you’re not allowed to mar the walls, or maybe your significant other doesn’t like holes in the wall. I just went through the hassle of patching all the nail holes in my bedroom, so I can kindof understand why some people get OCD about it. 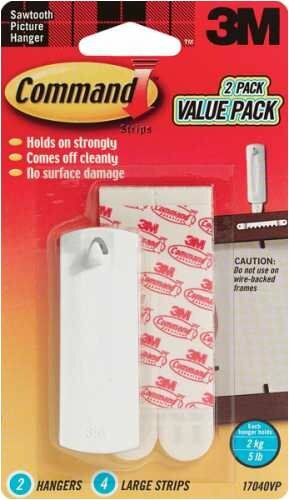 3M comes to the rescue with a line of hangers that promise up to 7.5lbs of holding power — more importantly, they’re entirely removable and won’t mar your wall.